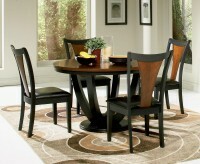 Width : 20" - 29", 40"-50"
Stylize your dining or kitchen area with this striking contemporary Boyer 5pc Dining Room Set. 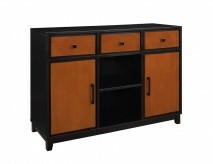 Featured is a lovely two-tone cherry and black finish that adds a modern zest to the set. 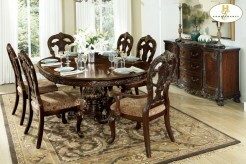 The round table features an ornately designed pedestal that holds up an exquisite round wood top. 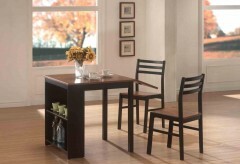 The complementary chairs feature sleek legs and decorative backs. 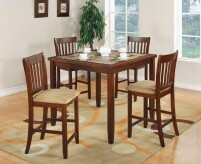 Enjoy a nice casual dinner with a few friends using this five piece table and chair set. 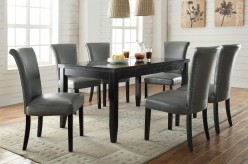 This dining set includes 1 x dining table and 4 x side chairs. Some assembly required. 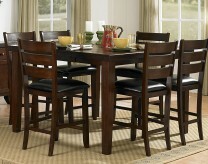 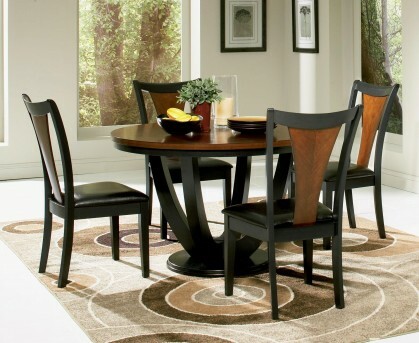 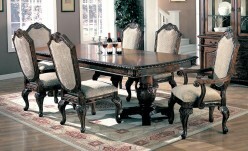 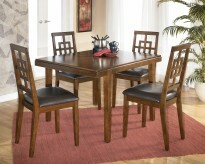 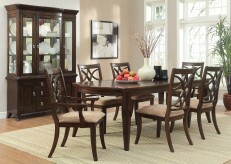 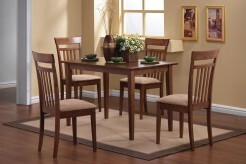 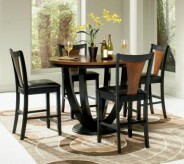 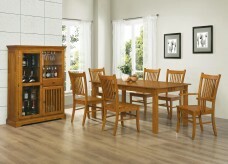 Furniture Nation is proud to offer the Boyer 5pc Dining Room Set online. 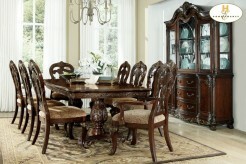 We serve customers across the DFW region including Irving, Carrollton, Denton and many more. 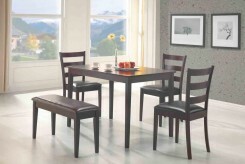 Boyer Black/Cherry Dining Table : L47" x D0" x H30"
Boyer Black/Cherry Side Chair : L20" x D23.25" x H38.5"